Write Brothers® develops software for writers. 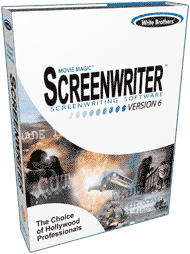 They have developed Comic Script templates for their Movie Magic® Screenwriter program. The software provides a work environment free of MS Word and other writing programs. It comes with formatting tools for page, panel, character and other repeated headings. Write Brothers Screenwriter program remembers character names and allows for easy navigation with TAB and ENTER keys. It also allows for outlining a script within the same document. "Comics, Film, Video games and Television are converging. However, every medium except comics has a standard script format. Until now. With the release of the Gossett & Kayl Comics Template, Write Brothers is now bringing this level of professionalism to comics. This means that any comics writer that wants to be taken seriously better know the tools of the professionals. As this merging of technologies continues, there will be two kinds of writers: Those that know and use the Screenwriter Templates for their stories, and those that won't be able to find work."